LiteApp Studio has been launched by Dr Ope Banwo, offering users the chance to create an unlimited number of AI apps. It makes it easier than ever before to create apps that can be accessed from anywhere. 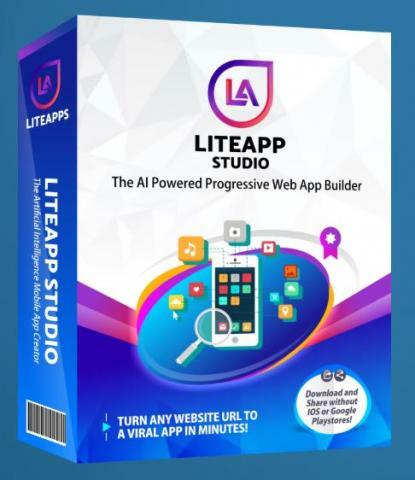 Dr Ope Banwo has announced the launch of LiteApp Studio, a powerful new AI software that creates amazing progressive web apps from any website in minutes. It works on all phones and browsers and can be downloaded instantly through social media, text, email and Q code. The site explains that the progressive web apps evolution is set to make both native mobile apps and web apps obsolete. Apps can be installed and shared across browsers without the need for an App Store or web store. This helps to streamline the app’s accessibility, and makes it easier to get for customers in any area. Customers are then able to create engaging, powerful mobile apps from any website URL in minutes. One of the key benefits of using LiteAppStudio is that no technical skills are needed, so even complete newbies can benefit from the powerful tool. Using the power of true artificial intelligence, technology makes app creation a simple Q and A exercise for anyone. In addition to this, the ease of access is hugely powerful. Users can access their mobile apps from anywhere, including social media, text or email. Users will be able to create an unlimited number of apps without any limits when they use LiteAppStudio. This helps them to take their online presence and business to the next level, creating apps for as many companies or products as the user wants.